(Newser) – Scientists at the National Institutes of Health may have just discovered a powerful new tool in the fight against HIV. 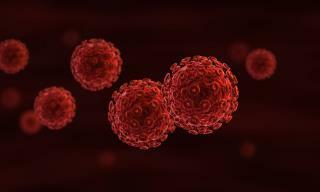 According to a press release, a newly identified antibody called N6 found in an HIV-infected person could successfully neutralize 98% of HIV isolates, including 16 of 20 HIV strains that are resistant to similar antibodies. Researchers published their findings Tuesday in Immunity. N6 could be more effective than another antibody, VRC01, that was discovered in 2010 and is currently in clinical trials. Out Magazine reports VRC01 could stop up to 90% of HIV strains. Unfortunately, Vice President elect Pence, wants you to go through conversion therapy before you get any of this treatment if you are gay. Unfortunately, HIV mutates rapidly, producing new strains very quickly. That's part of why it's hard to get a vaccine against it. With each advanced against this horrible plague I always think of all the wonderful, sweet, special people who would be alive today if they had had that advancement. The despicable men who created HIV from a scrambled SIV & tested it on gay men in the 70's using the lie it was an experimental hepatitis injection will be hurting for a looooong time after they die. Read DR MARY'S MONKEY.